Spaghetti are possibly the most beloved and known pasta shape in the whole world. Tossing them in different ways becomes real art, for instance the Amatriciana sauce, Gricia sauce, with fresh tomatoes or with meatballs (Lady and the Tramp style). 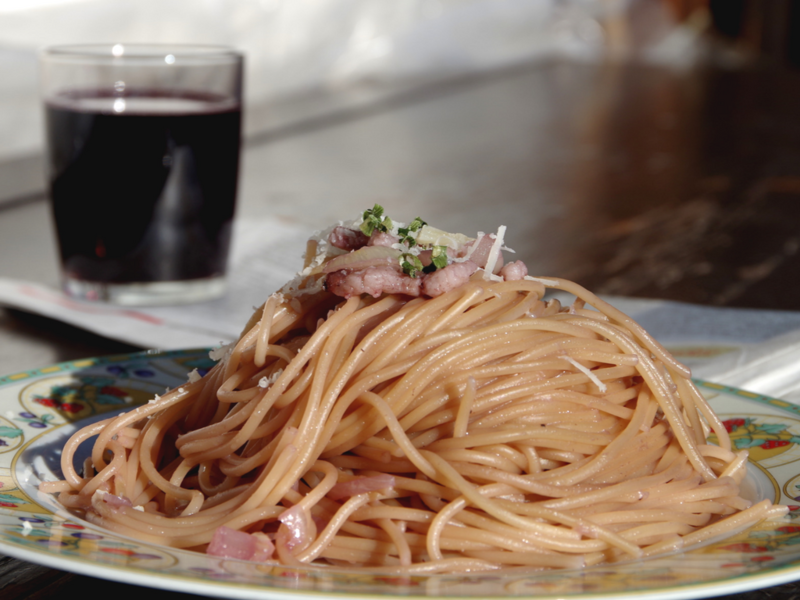 Today we would like to share with you a simple recipe that brings together pasta and wine in the same plate. Pasta and wine in the same plate, in a creamy combination that will surprise and win over you. 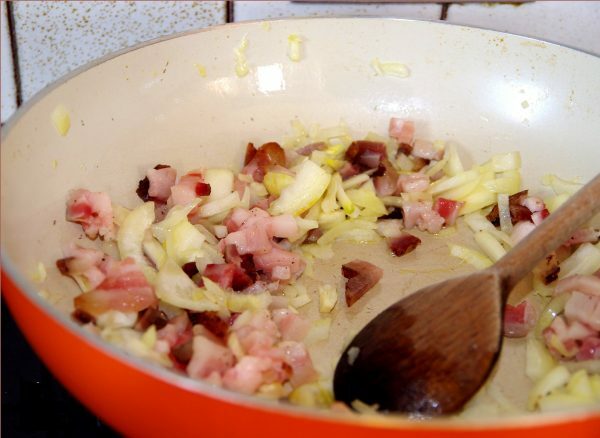 Brown the chopped onion with bacon dices and some oil. Some minutes later add 1 glass of wine and low the flame. Boil the spaghetti and cook them "al dente" (they'll keep cooking in the pan later). Put them in the same pan and add some boiling water and the second glass of wine. Put the lid and cook for some more minutes. Arrange it on a plate with plenty of grated pecorino. You can avoid using oil when frying the bacon dices. Use some chive to decorate your plate. I used Cabernet wine, perfect with bacon. You can replace it with other dry red wines (you can water them down if too strong).